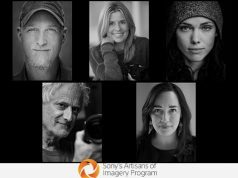 Las Vegas, NV—Experts in camera robotics, MRMC, a Nikon company, is debuting automated image capture solutions at the NAB trade show. The new offerings provide more angles and creative control of image and video capture at sports venues. 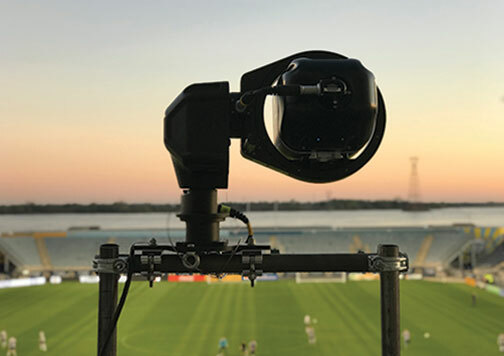 For broadcast in-stadium, MRMC’s Polycam Chat solution simplifies and augments the small-scale studio environment with AI. It also minimizes footprint and production costs. The system uses face detection in combination with limb recognition for accuracy and stability. The Polycam Chat automates the camera operation for up to four presenters and guests in one studio. It can also track a talking head within the frame. 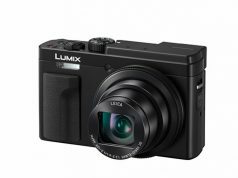 The interface is said to make it easy for operators to use, while the flexible platform permits it to be used with different broadcast camera solutions, including Nikon DSLRs. In addition, MRMC’s Polycam Player is a robotic video capture system engineered to offer automation, flexibility and low-light image quality. Using ChyronHego’s TRACAB player tracking solution, Polycam Player physically moves the camera and adjusts the zoom and focus to automatically keep the team or player in the frame. 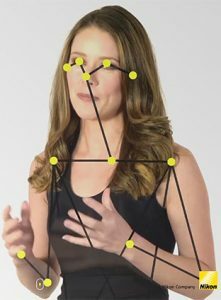 Moreover, the Polycam Player mimics the natural movement of a camera operator from locations that would be impossible to physically put a human. The technology was created to give clubs the ability to analyze opponents, monitor players and strategize with information. And all while providing broadcasters with additional low-cost camera angles to enhance content. Four camera positions are available at launch: two high end-zone cameras (high behinds); a high center-line camera (tactical); and a player-tracking camera. The individual player-tracking solution also offers live composition control. This feature lets the operator tightly frame the player yet adjust the framing while continuing to automatically follow the player. Moreover, to give broadcasters complete control of their content, MRMC is releasing new software updates to MHC (multi-head controller). The multiviewer skin is a new feature in MHC. It will be available to clubs and broadcasters who want the ability to remotely control up to 12 multiple cameras straight from a single multi-viewer touch interface. In addition, MRMC will be launching the first ever remotely controlled full-live color adjustment for the Nikon D5 DSLR camera. The new color control panel will give MHC users on-the-fly customization. 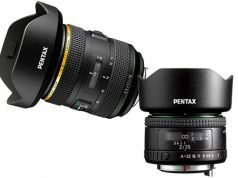 And as a result of a range of remote functions and adjustment—including color, white balance and other image setting parameters—it enables easy integration of a DSLR into a mixed broadcast camera production. MRMC also announced Live Skin. The full-screen touch-control solution enables a remote operator to physically move the robot into position using the interface. Live Skin is designed to be user-friendly. It permits operators to physically engage with the live image stream while maintaining their focus on the subject. Mark Roberts Motion Control (MRMC) has been a Nikon Group company since 2016. MRMC is a manufacturer of solutions for motion control, automation, broadcast robotics and remote image capture.